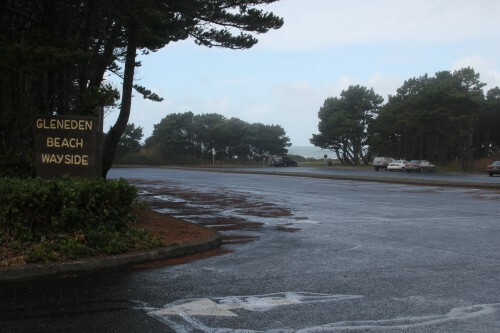 Hwy 101 mile marker 122. 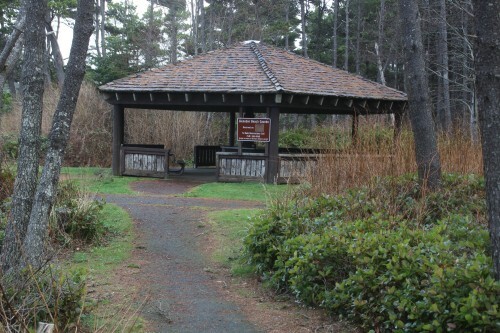 Gleneden beach Wayside is a little park with a group picnic area and beach access by way of an opening in the tree-lined bluff. 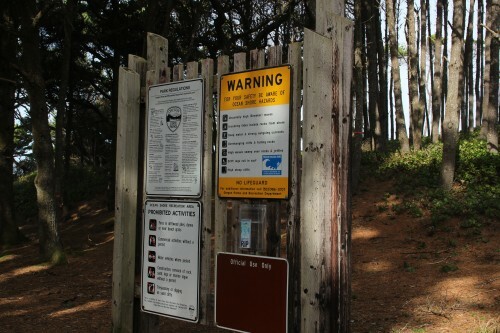 Oregon Parks link:Gleneden Beach No fee required. 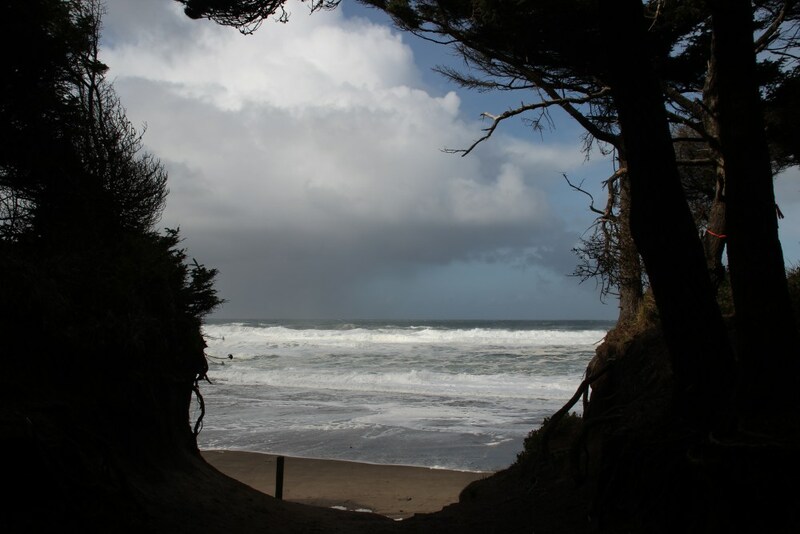 The trail leads through a gap in the tree-lined shoreline. 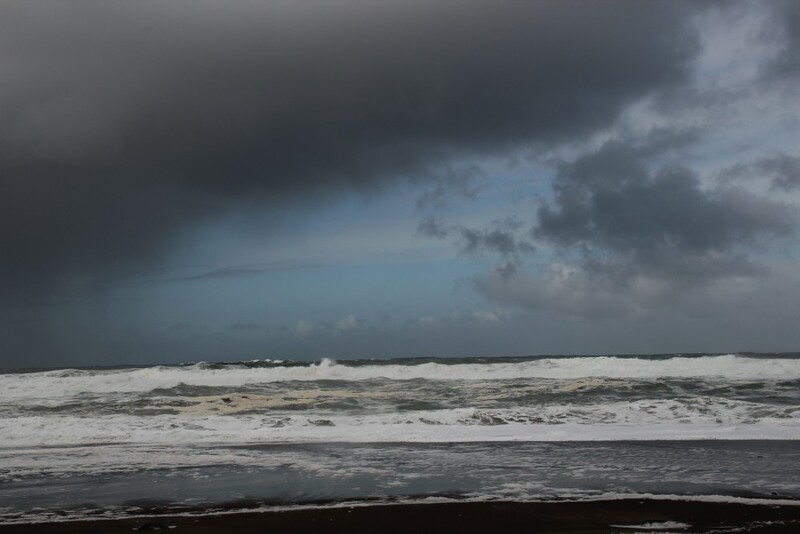 The shrieking Pacific winds were unusually powerful today, along with thick black clouds. Here's a shot of the covered pavilion.